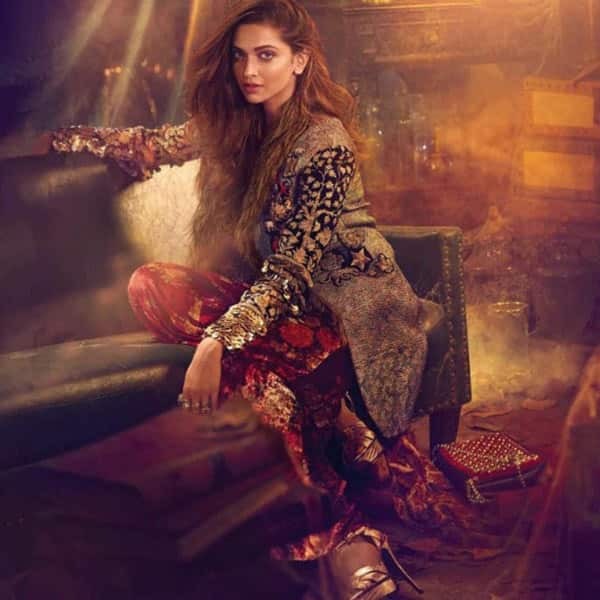 Check out Deepika Padukone’s hot Vogue photoshoot. Are you still wondering what’s the big reason behind October heat’s continuum? It’s none other than Deepika Padukone! Nothing. Absolutely nothing can beat this sultry hot cover and photoshoot pictures of the actress. We do expect sheer elegance and enigma ooze out of DP but someone she makes it tough for us to believe that such a person with immense beauty exists in today’s time. You, Miss Padukone can literally take us to the dingy pavements of Benaras looking like a timeless beauty in this photoshoot. While we had earlier spoken highly of the cover photo for could your jaws stay put after seeing it? I myself had trouble holding my jaws from falling deep down! I’m telling you DP, if Olympus is falling, you got but yourself to blame for the catastrophe! Anyway, we’ll get to swooning at her insanely hawt looks later (oh fans, do not take this in the wrong way, I beg of you! ), right now we gotta jump up to all the pics! So many clothes never looked hotter! Usually its the kind of photoshoots with less clothes that seems to catch the eye. But with Deepika in the frame, you’ll forget just how heavy the whole vibe of the photoshoot is. The concept of this photoshoot is a story of Benaras in collaboration with Sabyasachi Mukherjee. 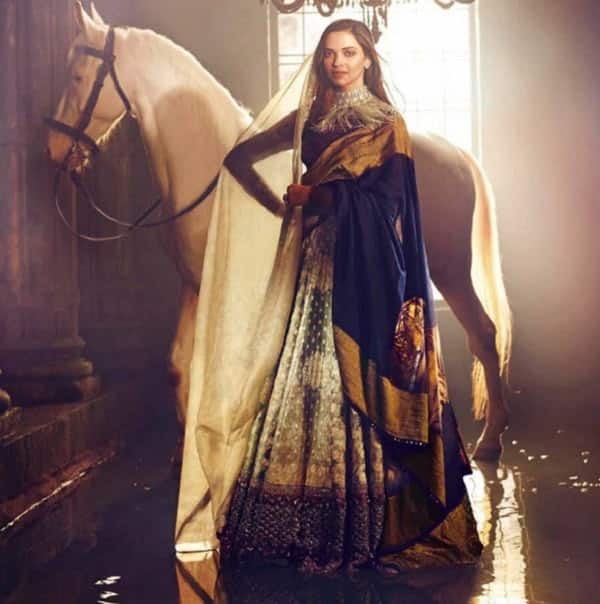 However, with the beautiful ethnic drapes that has been wrapped around DP, not only does she look ethereal but super royal! Oh, the regal outlook of the photoshoot doesn’t end there. This second picture depicts timeless beauty with a beautiful melange of thoughts with expressions. Despite the hair being dishevelled, her alluring looks take you on another trip altogether. The lighting used is so spotless that the sunkissed face of Deepika instantly makes you fall for her. Plus, it is needless to say how on point the makeup is. I bow down and applaud Anaita Shroff Adajania for creating such a magnanimously striking background and styling of Deepika as well. There’s absolutely nothing to complain about this outfit by Sabyasachi, neither do I have issues with the backdrop. The dried leaves gives it a very old and vintage look where a fresh and breathtaking Padukone ascends the throne. Too hot to handle, na? This picture might be a little grainy and I think there are a little too many elements used in terms of fabric but somehow I’m captivated by it! Individually, all the elements be it the pretty mustard bralet or the velvet fabric pants or even the velvet fabric jacket, it all looks too classy. Oh and the hair, I might sound like I’m gushing over her like crazy but I don’t really care for she totally deserves it all! The hair is done so so well. I love the ruffled hot look it’s exhuming. Even the background is very rustic and works with the mood of the photoshoot. In all honesty, I’m not really a big fan of Sabyasachi’s latest collection. However, the way Deepika pulls off his creation with so much poise and elegance makes me drop on my knees and worship her. I especially love the way her hair falls oh-so-delicately on her face. Doesn’t it make her look more dreamy? I may not like the outfit much but I definitely like the way Deepika is posing in it. Isn’t she one hot diva? What are your thoughts about this photoshoot? Tell us in the comments section below. Stay tuned to this space for more gossips and latest updates.